IGST credit to set-off IGST liability. 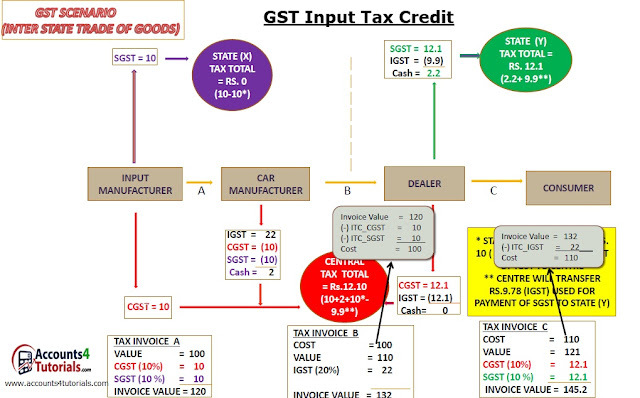 IGST credit, if available, to set-off CGST liability, if any. IGST credit, if available, to set-off SGST liability, if any. CGST credit to set-off CGST liability. CGST credit, if available, to set-off IGST liability, if any. SGST/UTGST credit to set-off SGST/UTGST liability. SGST/UTGST credit, if available to set-off IGST liability, if any. 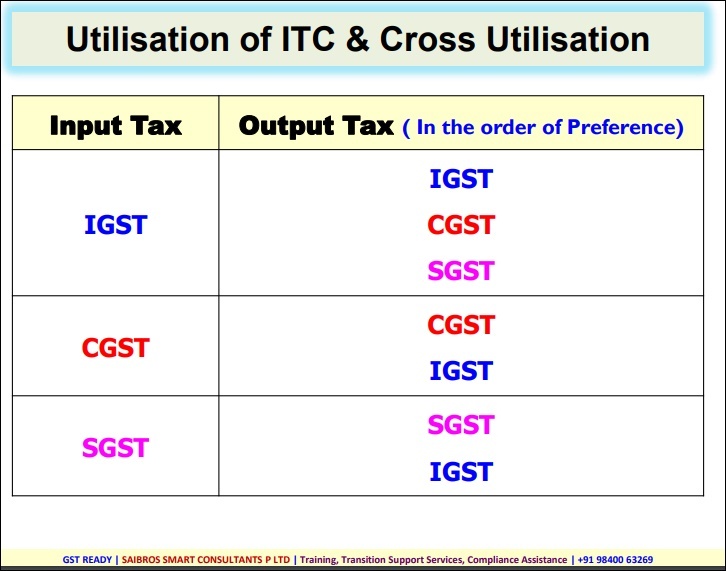 No cross utilization of credit between CGST & SGST. Valid return Sec 2(109): Return furnished under Section 34 (1) on which self assessed tax has been paid in full. Place of Business Sec 2(74): Includes a place from where a business is carried on and includes a warehouse, a godown or any other place where a taxable person stores his goods, provides or receives goods and/or services or where he maintains his books of accounts or where he is engaged in business through an agent. 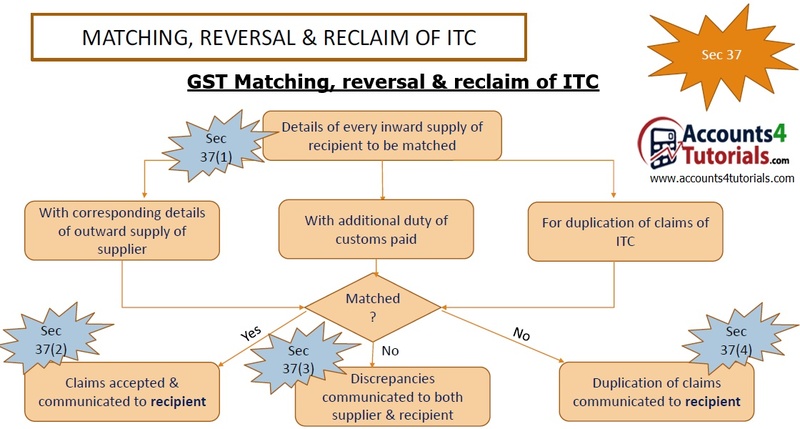 In case of capital goods or plant and machinery, on availment of ITC, an amount equal to ITC taken reduced by the percentage points as may be specified in this behalf or the tax on the transaction value whichever is higher to be paid. 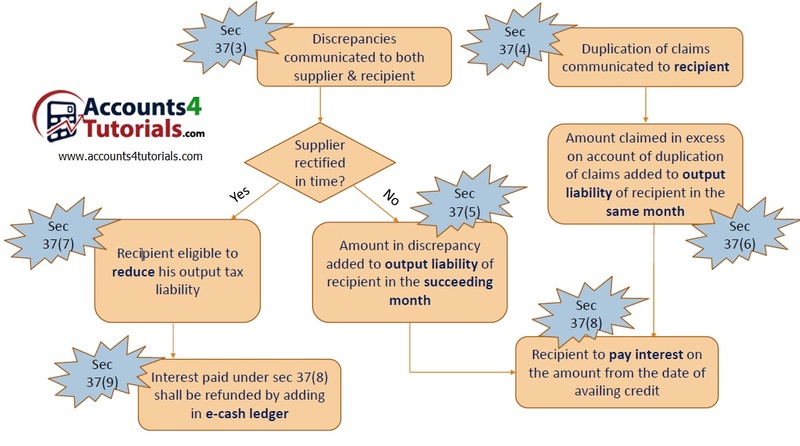 Where a recipient fails to pay to the supplier of services within a period of three months, an amount equal to the ITC availed by the recipient shall be added to his output tax liability, along with interest thereon, in the manner as may be prescribed. Howdy would you mind letting me know which hosting company you're using? I've loaded your blog in 3 different internet browsers and I must say this blog loads a lot quicker then most. Can you recommend a good internet hosting provider at a fair price? Thank you, I appreciate it!